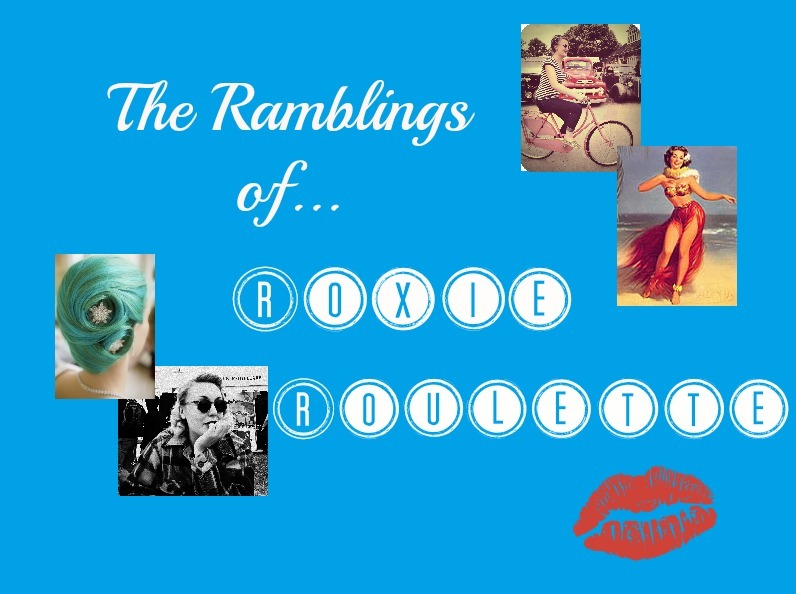 The Ramblings of Roxie Roulette: I Got Stripes. I have often sported a leopard print style nail of various colours (most commonly aqua, pink and purple), but the process takes ages! I'm talking at least an hour - and you can guarantee that they will be chipped the very next day. Anyway, I'm getting away from the point of this post. 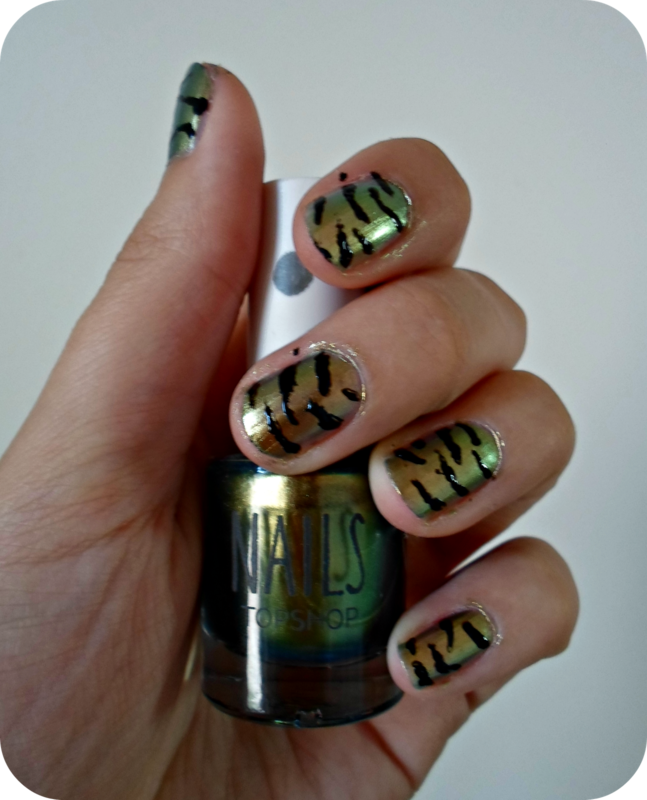 The point of this post is to show off my other animal print style nails: zebra (or is it tiger? I'm not sure...I'm going with zebra). The process is very simple and anyone can do it as long as they have a steady hand and some cocktail sticks. Just paint on two coats of nail varnish (I used #202 Hidden Treasure by Topshop) and then when they have fully dried draw on the pattern with a black varnish (I used Barry M's) using the point of the cocktail stick. Simples! oh, how fun, i have a skirt in my closet that totally reminds me on your nails!